Mary Jane Walker of Champaign, IL! Mary Jane was the winner of our June 17th free stove drawing. 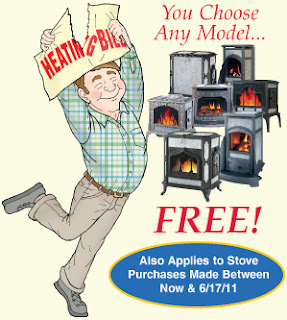 Woodstock will be shipping MJ a Fireview Woodstove, her stove of choice! Don't let a great opportunity pass you by! Our Free Stove Drawing will be taking place on June 17, 2011. This is your chance to win any one of our beautiful soapstone wood or gas stove models (this includes the upcoming "New Stove")! For additional details or to get entered in, simply use the link below.